The schedule of Bloof-related AWP activities, on- and off-site, is on our events page. 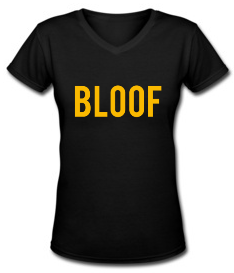 The BLOOF TEE (see below) will be available for order at Table D7 as well. We may be modeling them, just sayin. ...the entire catalogs of BLOOF, COOPER DILLON & NO TELL BOOKS! 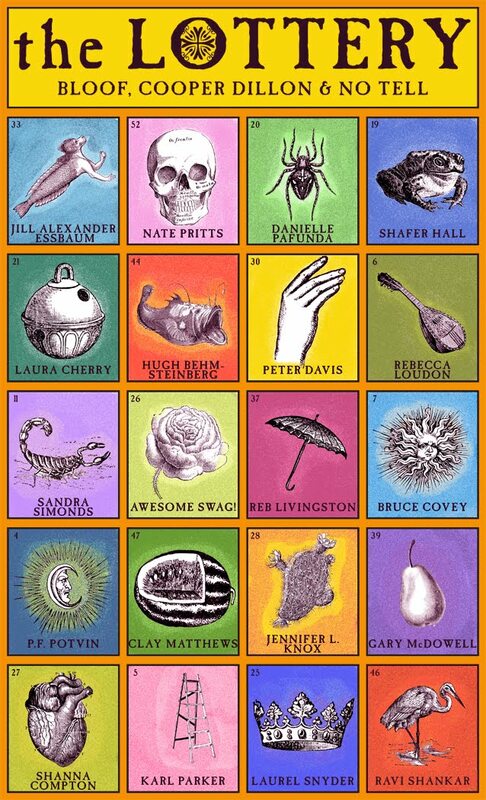 Every book purchased and/or 2$ gets you another ticket! *Entries accepted via bookfair tables only, but you need not be present at time of drawing to win. or to gaze upon the goods. We have no idea if this raffle is legal, so don't tell any cops! For the month of January, we are pleased to offer the following spectacular deal. *Books must be 3 different titles, no multiples. Be sure to specify which books you want in "Special Instructions" when checking out with PayPal! ** US & Canada only; others email for additional shipping cost.